Abbrevations are always a source of amusement for me. As are alliterations (see what I did there? ), but for a different kind of reason. The abbrevations you use tell a lot about where you are coming from and, as there are multiple uses for most of them, can lead to quite some confusion. Take TCD for example. For the longest time, a TCD to me was a transcranial Doppler, something you do in neurosurgical patients to evaluate cerebral bloodflow. Google told me that TCD could as well mean Tschad or Trinity College Dublin. So if I tell you now that the Instytutum Flawless Skin Mask works with TCD, which image pops up in your head? Well, let me explain what TCD stands for in this case: Transdermal cosmetic delivery, a method that allows ingredients to better penetrate the skin. There are several ways to achieve that, like using ingredients that weaken skins barrier function (alcohol for example) or using specific low molecular weight ingredients. Or, and I assume that this is what is used here, combining the low molecular weight ingredients with an occlusive layer on top. 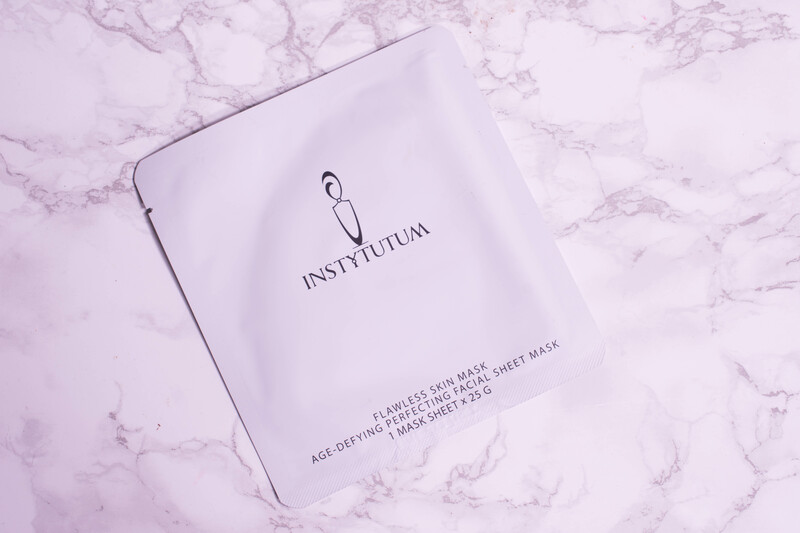 So how did the Instytutum Flawless Skin Mask * work for me? Might be a great look for Halloween? 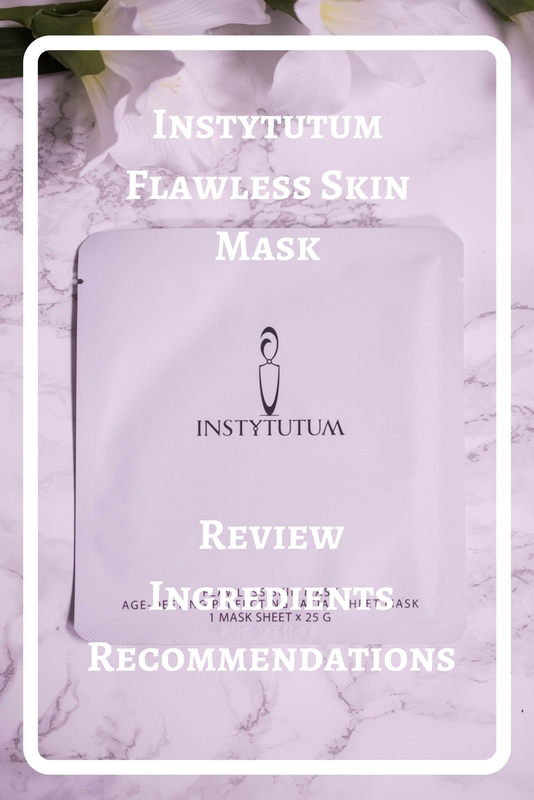 INSTYTUTUM´s hydrolyzed collagen second skin mask uses the innovative transdermal cosmetic delivery (tcd) technology which is activated by the skins temperature to achieve a better penetration of the highly effective ingredients into the skin. The translucent skin mask contours closely to the face to deliver a powerful complex of the peptide argireline, collagen matrix and a botanical complex to significantly moisturize and refine visible pores, restore elasticity and achieve an immediate tightening effect on the skin. Your skin looks flawless after just one application. One box contains 5 masks and retails for 69 $ on the website here. And yes, if you do the maths, one use will set you back 14 $. And there is of course no way you could reuse them. Unlike other sheet masks, this one is made from a rubber like substance that molds onto your face. As it is a two piece, I had no issues adjusting it to fit my features. But if you, like me, are used to multi-task when doing your facials (vacuum with a sheet mask, doing the dishes with a peel on), this one will force you to take things slow. With the skins warmth, it gets softer, and while this is great for fitting to your skin, it also means that it has a tendency to slide off when you are too active. But rest assured, watching Netflix is entirely possible! Flawless skin after one use? Too good to be true, of course, but immediately after I removed the mask my skin felt firm, looked plump and surprisingly well rested. Which may be down to the fact that I, well, actually rested for 30 minutes. The positive effects were noticeable for up to three days, making the mask a great preparation for a special event. Not the flawless skin after one use claim of course, but it has all the ingredients to back up the rest and my face felt noticeably firmer. Always a good thing when you are in your late 30s. It is a very nice mask that I enjoy using, but I can´t really justify spending this much on five face masks. People that want a mask to get ready before a special event and that obviously have the budget. Did you catch my latest vlog already?